The MOBA genre already has colossal communities in both League of Legends and Dota 2 , but what's missing is an arena where the greatest gods of mythology toss magic fireworks at each other and roast a couple thousand mortal minions. Enter Smite, Hi-Rez Studios' free-to-play god-on-god rumbler, which launches in full today after a lengthy beta period and is available for all to download on its official website . Smite changes up the player's perspective for its tri-lane skirmishes by dropping the camera behind the shoulders of your chosen god and using WASD for movement, a more action-oriented angle echoing Hi-Rez's FPS roots from Tribes: Ascend. Playable deities come from various pantheons, such as Greece, China, and the Roman Empire. Otherwise, it's typical MOBA fare of farming minions for increasingly powerful abilities and waging a tactical tug-of-war into the enemy base. Hi-Rez also shared a batch of stat highlights from Smite's beta period. The game had 3 million registered users and over a billion player kills. The Mage class turned out the most popular choice followed by the gank-tastic Assassin class. 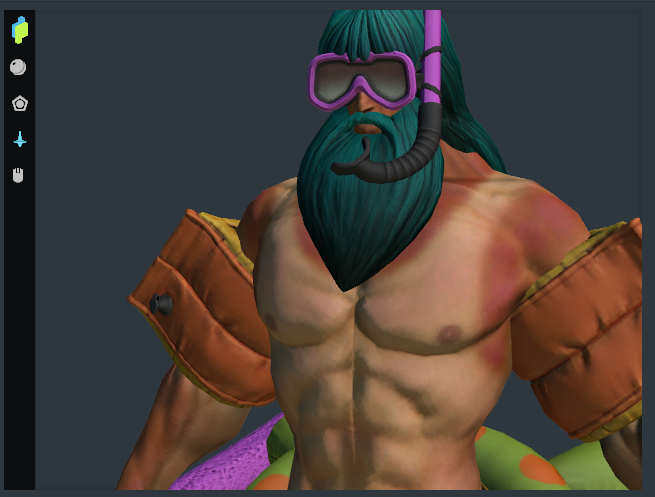 On the cosmetic side, one of the most popular skins was this little number for Poseidon. Smite became Hi-Rez's full-time focus after the studio decided to relax further development on Tribes: Ascend last September, with CEO Erez Goren claiming the extra profitability a MOBA provides is what Hi-Rez needs to continue weekly updates and content additions. Have a look at more Smite info on its official website , or head here to download the client and get playing.